The Shingle and Accessory Limited Warranty comes at no additional cost with your purchase of the Lifetime Shingles and at least 3 qualifying accessories. These eligible components are GAF’s leak barrier, roof deck protection, starter strip shingles, Cobra® attic vents, and ridge cap shingles. This guarantee covers 100% of material defect and provides labor reimbursement for 10 years. With quality installation, it provides wind coverage for 130 mph Category 3 hurricane speed on all Lifetime shingles. You can also transfer the warranty to the next homeowner. The System Plus Limited Warranty offers all the features that the first guarantee offers, only with longer periods. Its 100% coverage on material defect is good for 50 years, and the labor reimbursement lasts a lifetime. Once the non-prorated period is up, GAF will shoulder 20% of the labor on repairs in years 51 and beyond. In addition, this mid-level warranty covers the workmanship and misapplication of certain flashings on your replacement roofing in Hillsboro, Oregon, for two years. Also, it includes the tear-off costs for material defects. The strongest warranty is the Golden Pledge® Limited Warranty. While it only matches the scope of coverage on manufacturing defect of the System Plus, it covers workmanship for 25 years. GAF will provide the service free in case your roofer is not available anymore. This warranty also includes tear-off and disposal costs for material defects or workmanship. 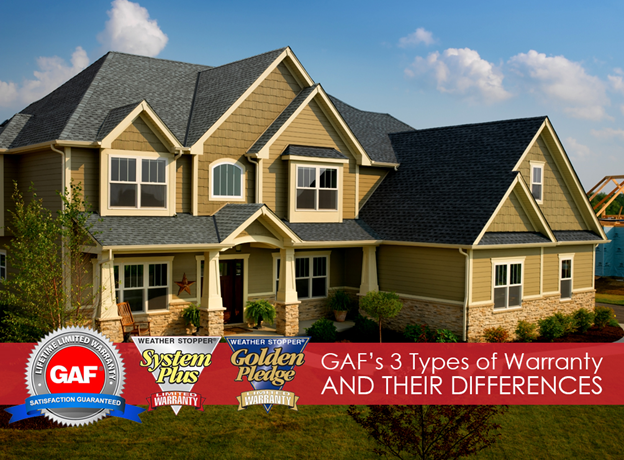 A GAF Master Elite roofer is the exclusive source of the Golden Pledge Limited Warranty. To protect your most valuable asset for over five decades, hire Orion Roofing and Sheet Metal to invest in this top-tier warranty.We are your leading source of asphalt shingle and sheet metal in Hillsboro, Oregon. Call us now at (503) 683-7555 or submit an online contact form for an estimate on your next roofing project.